You’ve probably heard it time after time but why don’t you listen? Eye serums and creams are a must-have when it comes to faking a full night’s rest and minimizing the dark circles under the eyes. I don’t know about you but I’ve run through quite a bit of eye creams and serums and it took some time before I found ones that worked well for me. Not just for me but I’ve recommended these products to my friends and family and they’re just as obsessed! 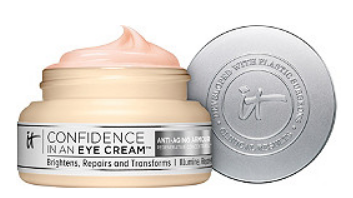 Check out a few my favorite eye products, you won’t believe the difference using an eye serum will have on you! Fight against any signs of eye aging with Akura Wellness’ Perfecting Serum. That includes fine lines, wrinkles, puffiness, dark circle, dryness, you name it! I always recommend this product to my friends that don’t get much sleep, this will become your new favorite as it also revives tired-looking skin. All eyes are delicate and its important to care for them gently always! 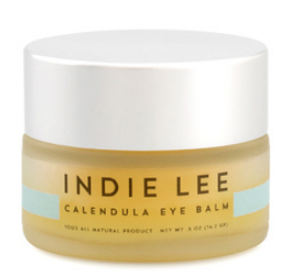 One of the most smoothign eye creams I’ve used is Indie Lee’s Calendula Eye Balm. Its fresh ingredients melts into the skin and the best part about it is that it can be used on the lips, any dry patches you may have, and cuticles. For fast results and an ultra moisturizing cream, this stuff will literally change your life! A little goes a long way and over time you’ll notice wrinkles become less noticeable. I have oily skin and this product worked well for me, my mother who I recommended this product too has very dry skin and its worked wonders for her as well!